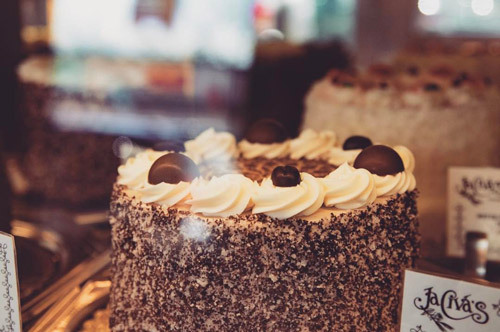 JaCiva’s Bakery and Chocolatier first opened their doors in Portland, Oregon in 1986, producing the finest cakes, European chocolates, Swiss pastries and baked goods around. The company was founded by husband-and-wife duo, Jack and Iva Elmer. They cleverly named their bakery by combining their names. Jack and Iva perfected their chocolates and desserts by unifying their individual skills and talents: Chef Jack, with his formal Swiss pastry education and passion for baking; and Iva, with her innovative creativity and love for her community. For years, Jack and Iva worked at perfecting their products and their business. They’ve received over 50 awards and a multitude of acknowledgements in baking and chocolate making, including the Achievement of Excellence Award from the American Culinary Foundation, The Austin Business Family Award, the Master Chocolatier Award and a gold medal from the U.S. Pastry Alliance. Today, customers continue to file into JaCiva’s for an abundance of specialty baked goods and chocolates too numerous to name here. Located at 4733 SE Hawthorne Avenue, Jack and Iva continue to embody the foundation of a deep sense of community true to their roots. Cascade is proud to feature JaCiva’s, a member aimed at maintaining family values and a small business atmosphere.